Our Juris Doctor (JD) degree program provides the opportunity to pursue your legal education in a collegial and student-centered environment. The Native Law Centre Summer Program is an eight-week summer course offered through the University of Saskatchewan's Native Law Centre that provides Aboriginal students from across Canada an opportunity to study first-year property law before beginning law school. Many students take this course as a condition of their acceptance to law school. The University of Saskatchewan College of Law offers a Certification in common law in French - Certification de common law en français (CCLF), which has been launched through a partnership with the University of Ottawa Faculty of Law. The CCLF will allow incoming students with competencies in French the unique opportunity to obtain a Certificate in French Common Law from the University of Ottawa during the completion of the three year University of Saskatchewan J.D. program. The CCLF is open to students entering their first year of studies in the University of Saskatchewan J.D. program. For more information on this unique program, please contact Doreen Petrow, Admissions Officer, College of Law at doreen.petrow@usask.ca or Professor Caroline Magnan, Director, CCLF Program, at cmagnan@uottawa.ca. The combined BComm/JD program allows students to obtain both the commerce and law degrees in six years rather than the seven years needed to complete the degrees separately. This program works well for those students who are majoring in areas of the Commerce program that require 18 credit units for completion. Students in a major requiring more than 18 credit units (Accounting, Finance, Human Resources, Marketing, Management, and Operations Management) should consult a program advisor. Students initially apply to the Edwards School of Business and spend three years completing the core and major classes. Once a student has gained admission to the College of Law, they complete the regular three-year JD program. Students receive their BComm after successful completion of two years in law. For information on this program, please contact the Edwards School of Business. The University of Regina and the College of Law at the University of Saskatchewan jointly offer a Combined Degree Program of Business Administration and Law leading to a BBA/JD in six years. Please contact Raelynn Norbeck, Student Recruitment & Advising at the Paul J. Hill School of Business at the University of Regina for information on this program. Applicants for the JD/MBA program must have a four-year bachelor level degree as well as a current LSAT score. You must apply online and check the box indicating that you wish to apply for the JD/MBA Program. Please contact the Edwards School of Business at the U of S or the College of Law at the U of S for more information on this program. The combined BA/JD or BSc/JD program can be completed in five years, including spring and summer session. Up to 18 credit units in the JD program may be counted as senior electives in the College of Arts and Science. Grades from all of the eligible law courses attempted will be used in the calculation of the Arts and Science average. Contact the U of S College of Arts and Science for more information on this program. To complete either program, students may use 18 credit units in law courses toward the elective requirements for the BA Four-year program, and so complete both degrees in less time than if taken separately. Contact the U of S College of Arts and Science for more information on this program. Study at some of the top law schools in the world in Belgium, the Czech Republic, Finland, Norway, Sweden, or the United Kingdom. 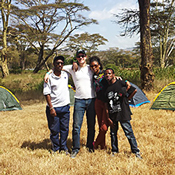 In recent years, our students have also gone to Australia, New Zealand, South Africa and Hungary. Studying law abroad allows you to learn about other legal systems and to gain international experience as well as broaden your personal and professional perspectives. 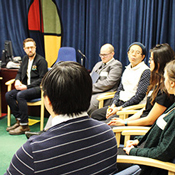 The college collaborates closely with CLASSIC (Community Legal Services for Saskatoon Inner City Inc.), a community based legal clinic that provides free legal assistance to low-income clients. Participating in the clinical law program at CLASSIC gives you a chance to gain practical experience while providing you with new insights into the social reality of law. Access to Justice is a three-credit seminar class that provides students the opportunity to observe and interact with lawyers during a placement at one of many participating courts and tribunals in Saskatchewan and Manitoba. The college also boasts CREATE Justice, a newly-established centre for research, evaluation, and action on the topic of access to justice. 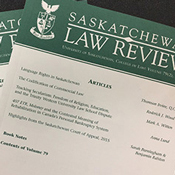 The Saskatchewan Law Review is a journal published at the College of Law and provides a range of opportunities for legal scholars and experts interested in publishing their work. As a student, you can submit work for review or serve on the editorial board. 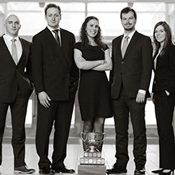 Mooting is an important part of the college's academic and professional program. As a component of the first-year Legal Research and Writing course, all first year students will experience and participate in a moot. Mooting offers a forum for the development and presentation of legal arguments in the context of an appeal case, as well as a vehicle for the exercise of legal research and writing skills. Join a lifelong community of graduates who have gone on to become, among other things, accomplished academics, learned members of the legal profession across the country, diplomats and political leaders. College of Law alumni have held the positions of Prime Minister of Canada, Governor General of Canada and Premiers of Alberta and Saskatchewan. A Juris Doctor (JD) can take you almost anywhere. Of course, there is the traditional route of joining a legal practice, but in today's diverse and fast-paced job market, there are a multitude of less conventional options available to you as well. The career office provides a variety of services and hosts a myriad of events to ensure you find the career that is right for you. These include on-campus interviews (OCIs) with some out-of-province law firms (specifically for recruiting first-year and second-year summer positions) and professional development seminars to enhance your professional skills and assist you in your career planning. There are no specific high school requirements for the Juris Doctor program. If you haven't yet completed university-level course work you can view the admission requirements of programs you are interested in pursuing for your required two years of university studies you need before applying to Law. You need two full years of academic work at a recognized university or equivalent. There are no recommended pre-law programs or classes, we accept students from all accredited programs. Read through the Admission Requirements below to see what is needed to be considered for admission. Because the number of applicants far exceeds the number of available places, the College strongly recommends that prospective applicants consider working towards an undergraduate degree by choosing courses that meet the requirements of the degree. This will ensure alternate choices if Law is no longer an option. Two full years (60 credit units) of academic work at a recognized university or equivalent. There are no recommended pre-law programs or classes, we accept students from all accredited programs. In selecting applicants for the first-year class, the College of Law considers it important for the student body to reflect a variety of backgrounds and experiences. Apply as a regular applicant if you meet the entrance requirements and do not meet criteria for special or Aboriginal applicants. Reference letters for regular applicants are not required and will not be looked at if submitted. Special applicants will be admitted based on the Admission Committee's assessment of their ability to cope successfully with the requirements of the Juris Doctor (JD) degree program. Special applicants' LSAT scores will usually be given significant weight. There is no formal quota for special applicants, but the number of special applicants is necessarily limited. The Admissions Committee for the Juris Doctor (JD) degree program may consider Aboriginal ancestry (First Nation, Métis or Inuit) as a positive factor when assessing applicants for admission, pursuant to an exemption granted by the Saskatchewan Human Rights Commission and as a 'reasonable and justifiable measure' under section 48 of The Saskatchewan Human Rights Code. As a result, we have established a category for Aboriginal applicants. Applicants of Aboriginal ancestry should apply in the Aboriginal category, not the special category. There is no quota for Aboriginal applicants. In 2018-19, 32 applicants received offers in the Aboriginal category and 20 registered in first-year law at the college. All Aboriginal applicants are strongly encouraged to enroll in the Native Law Centre Summer Program. While some students will be required to complete the program as a condition of their admission to the College of Law, all Aboriginal students, conditionally or unconditionally accepted to law school, will benefit immensely from the program's focus on legal reading, legal writing, and legal analysis skill building. The Native Law Centre Summer Program is offered during the summer months at the Native Law Centre, and is open to Aboriginal students from across Canada. Program completion is considered a special supplementary predictor of success in law school by the Admissions Committee. Successful completion also gives students credit for the first-year property law course at the College of Law. 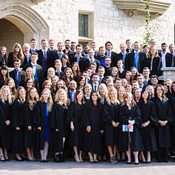 First-year law students wishing to transfer from common law JD programs at other Canadian universities to the College of Law, University of Saskatchewan, must satisfy certain academic requirements. Official transcripts of pre-law and law school marks must be submitted to this College directly from the issuing institutions. A completed online application form and a $125.00 non-refundable application fee must also be submitted. All transfer students must have a current LSAT score. Approval of all transfers to the College of Law, University of Saskatchewan will depend on the quality of legal studies previously demonstrated and the number of spaces available. Preference normally will be given to Saskatchewan residents. The deadline for receipt of requests to transfer is February 1 and required documentation must be completed by June 30. Applicants are generally expected to study law on a full-time basis. However, part-time status may be granted on a discretionary basis in certain circumstances. Applications for part-time status are assessed on a case-by-case basis. The part-time program is available to assist applicants who have family commitments, disabilities, health needs, occupational obligations or financial needs which prevent full-time study. It is also available to applicants who have not been in an academic institution for a significant number of years. The program is not intended for those who want to test their interest in law or who would prefer a light course load. Part-time students are required to attend classes at regularly scheduled times, and therefore must be available to attend classes during the day time. Applicants who wish to be admitted on a part-time basis must submit a written statement giving reasons why they are unable to pursue full-time studies. Those admitted as part-time students must complete the first year of the three-year Juris Doctor degree before they can change their status to full-time. Students wishing to complete one year or one term at the University of Saskatchewan's College of Law for credit towards a degree from another Canadian law school may apply as "Letter of Permission" students. The dean or associate dean of that law school must provide us with a letter granting permission to complete your requirements at the U of S College of Law. Official transcripts of pre-law and law school marks must be submitted to our college directly from the issuing institutions. A completed application form, a $125.00 non-refundable application fee and a copy of the LSAT score are also required. Individuals with law degrees from non-Canadian law schools who are interested in becoming members of a law society in Canada must have their credentials assessed by the National Committee on Accreditation. The University of Saskatchewan College of Law does not offer courses to students who are seeking to meet the requirements of the National Committee on Accreditation. We typically see between 900 and 1250 applicants for the 126 available spots. In 2018-2019 Regular category applicants had an average LSAT score of 158 and an average GPA of 3.37. Your best two-year GPA and the LSAT score are considered.The best two years do not have to be consecutive, but you do need at least 24 credits in each of these years during the Fall and Winter sessions. Spring or Summer classes are not counted when calculating your best two-year GPA. A cumulative GPA will be used for applicants who do not have full years of study as described above. The committee gives a slight preference to applicants with a Saskatchewan connection or residents of the Yukon, Northwest and Nunavut Territories, Prince Edward Island and Newfoundland and Labrador (these being provinces or territories with no law college). For applicants with a Saskatchewan connection, indicate on your application if your siblings are currently attending the U of S, or if your parents, siblings or grandparents have attended the U of S College of Law. Indicate if you are a former resident of Saskatchewan, and if you attended elementary and/or high school in Saskatchewan. If you consider that you have another type of connection with Saskatchewan, for example, a spouse currently attending the U of S, indicate this on the application form. If there is insufficient space on the application form, provide further details in your personal statement. All applicants are required to take the Law School Admissions Test (LSAT). The LSAT is designed to measure certain mental abilities important in the study of law and accordingly, to aid law schools in assessing the academic promise of applicants. The Admissions Committee considers your highest LSAT score over the past five years. For example, LSAT scores prior to June 2014 will not be accepted for applicants applying in September 2019. The LSAT is currently offered six times per year in June, July, September, November, January and March. Some dates may not be available depending on the test site. The January test score is the latest one the college will accept in considering applications for the coming September. More information on the LSAT including registration, fees, testing dates and testing centre locations can be found on the Law School Admission Council's website. Your personal statement provides us with further information about you that will be used when reviewing your application. Include information on special academic interests and achievements, work experience (including volunteer work), special skills, personal attributes and any other significant life experiences (e.g., family-related, travel, etc.). The personal statement must be composed entirely by you and should not exceed a maximum of 500 words. Online application will open on October 15, 2018, for September 2019 entry. Supporting documentation for September 2019 entry can be submitted beginning October 1, 2018. The application deadline is February 1, 2019, for September 2019 entry. It is the applicant's responsibility to ensure that his or her file is complete. You can do this by logging into the application form with the username and password you have created. Pay the application fee of $125 CAD online by credit card. Your application will not be processed until this fee is received. U of S applicants: Students who have completed all of their university studies at the University of Saskatchewan do not need to submit transcripts. Applicants who have studied elsewhere: Two original transcripts must be received by the College of Law directly from each university or college attended. If presently enrolled in classes, applicants must arrange to have the registrar of their university or college forward directly to the Admissions Committee, College of Law, one official transcript of marks up to the end of first term (including results of December examinations). In addition, two official transcripts of final marks must be submitted after the end of second term. Transcripts will not be accepted directly from applicants, nor will photocopies of transcripts be accepted. A cumulative transcript from the last university is not sufficient. Statements of standing will not be accepted as official transcripts. Without transcripts, your documentation will be considered incomplete and your application will not be considered. The deadline for submission of final transcripts is June 1 of the year you will be starting first-year law. The Juris Doctor degree is a three year program offered by the University of Saskatchewan's College of Law. Established in 1912, the College of Law is the oldest law school in Western Canada, exemplifying a tradition of excellence in teaching, research and innovation. With a strong history in Indigenous legal education, developing strength in dispute resolution and access to justice, and leading and emerging scholars in the fields of constitutional law, health law, criminal law and commercial law, the college also offers a highly-regarded mooting program, joint degree programs and global exchange opportunities.